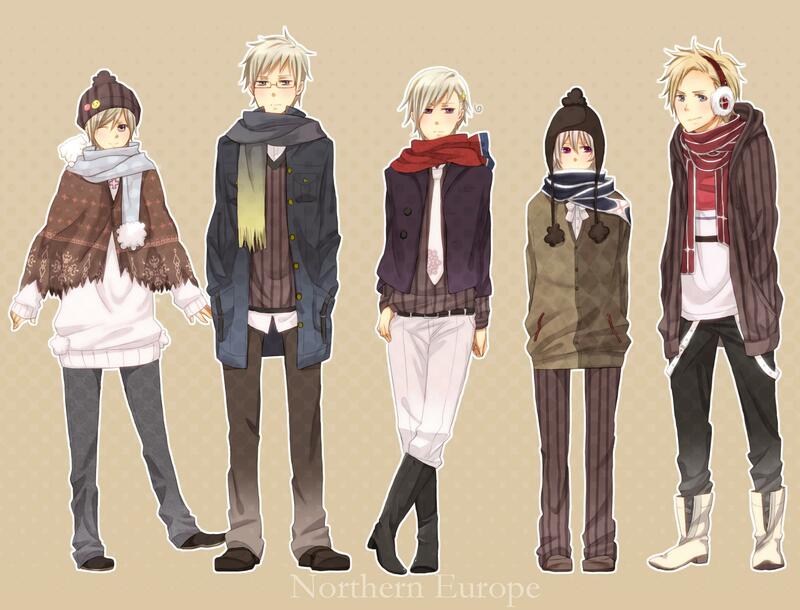 Denmark, Finland, Iceland, Norway and Sweden. . HD Wallpaper and background images in the Hetalia club tagged: denmark finland iceland norway sweden hetalia. This Hetalia photo might contain pakaian luar, overclothes, outerwear, gawang, wicket, and tabard.